The Sky+ news section will carry all the press releases, reports and any other relevant information that surrounds Sky+. Who said we cannot do two things at once? Sky+ households across the UK and Ireland will no longer have to fight over which programme to watch this Christmas, or even which show to record. Sky today announces the latest and most significant upgrade to the Sky+ system since it launched, offering viewers the ability to simultaneously record two programmes, whilst watching another previously recorded programme all at the same time on the same TV. Sky+ is a combined digital video recorder and satellite receiver Sky+ delivering a great choice of channels from Sky digital with the power to control exactly when you want to watch them. Sky+ was launched two years ago as the first digital recording device to feature a dual tuner - allowing viewers the unique ability to record one channel whilst watching another. However, since launch there has been significant demand from Sky+ customers to have the ability to record two channels at the same time and Sky now is excited to be able to offer this powerful new feature. The dual recordings feature is the most recent in a series of upgrades to Sky+ that continue to improve the service, ensuring all customers Sky+ receive the latest features, delivered at no additional cost. This software upgrade is triggered automatically to all Sky+ boxes allowing customers to immediately benefit from the most convenient digital video recording experience available. The following key features have now been downloaded. * Series Links - Sky+ viewers can use the series link function to automatically record episodes of a selected TV programme at the touch of a button, and without videotape. Series links are now available on nearly 3,000 programmes on over 60 digital satellite channels each week. The new upgrade continues the improvement to the series link system, now ensuring links are maintained even if an episode is skipped (e.g. due to a one-off choice of another programme), or if the next occurrence is up to four weeks away. (downloaded December 2003). Brian Sullivan, Director of New Product Development at Sky, comments, "Sky leads the UK in the digital TV market, and delivering to our customers the best viewing experience is at the core of that offering. Sky+ is a perfect example, combining the fantastic choice of programmes of Sky digital with the complete control of what we believe is the most advanced and user-friendly digital recording device available anywhere. The ability to record two channels simultaneously, even whilst watching another previously recorded programme, is something that has been widely requested. As a customer-focused company we are always keen to develop our services in-line with customer demand, and as such we have delivered this new feature with the simplicity that is at the heart of Sky+, ensuring anyone in the household can use it easily, while maintaining the underlying power of the product. Now more then ever, with Sky+ you truly can create your own TV channel. This latest upgrade builds on the success of the software additions last summer, and we are currently working on more features that will be added over the coming year." Sky+ Dual Record Delayed Yet Again! The main thrust of the article is the almost unbelievable news that after all this time, Dual Recording is still not ready to be released to Sky+ users. Apparently Sky found some bugs in field trials which required fixing, even though they were not major faults. No definate timescales for the release of the Dual Record software are mentioned, but warning was given when it was stated that it "may not" be available in October. The thorny question of what happens when 2 programmes are being recorded if you want to access the TV Guide (EPG) was answered when Sky revealed that they had created a special 2 day EPG that viewers could use when Dual Recording was in operation, also allowing users to choose to play previously recorded programmes through the Sky+ planner. Full transcript of the Digital Spy report can be found here. 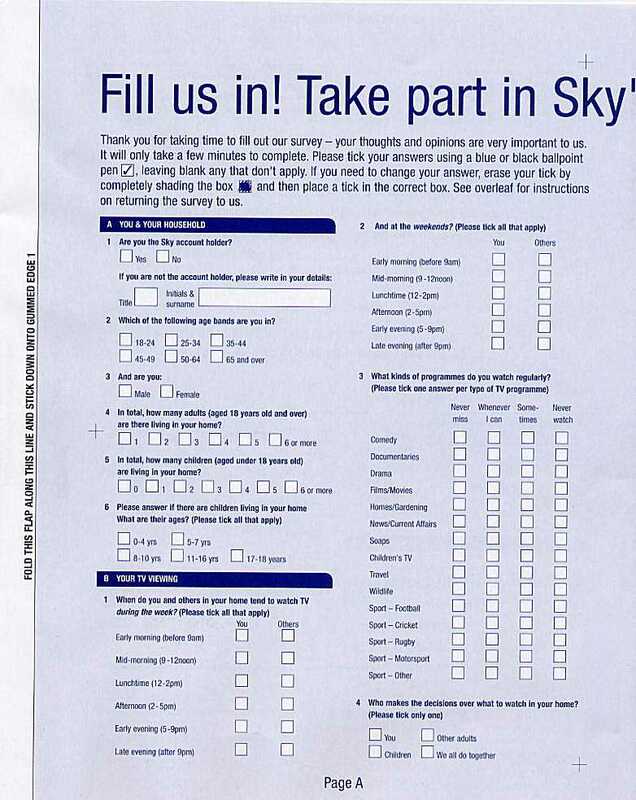 Sky finally bit the bullet and wrote to all Sky+ subscribers who qualified for the Sky+ FREE Subscription. 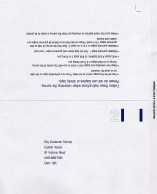 The letters are starting to arrive in people's letterboxes today. 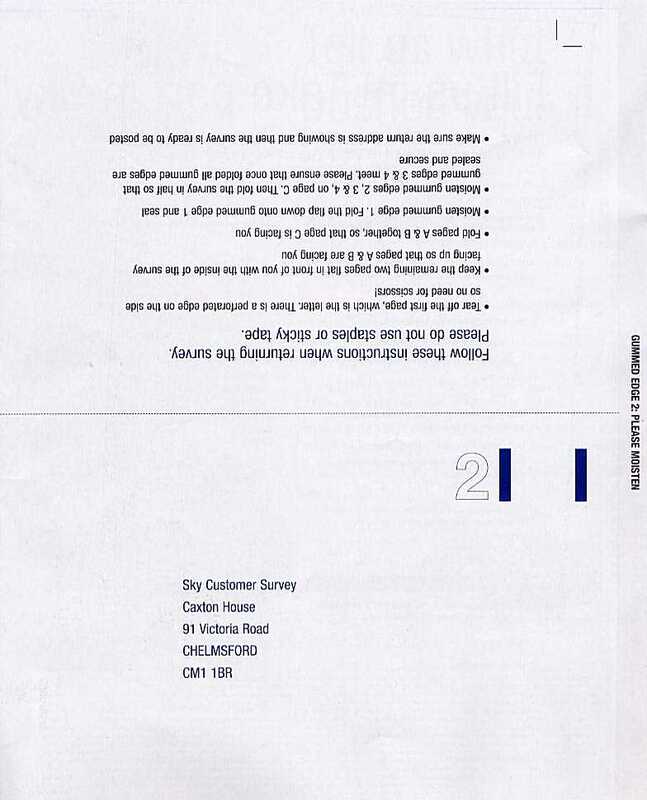 Sky's letter from Customer Marketing Director, Ian Shepherd, heralded the fact that subscribers need do nothing as their bills will automatically be recalculated to take into account the free Sky+ subscription. Customers on less than 2 Sky Premium Packages continue to pay the £10 per month Sky+ subscription charge. New NDS Capabilities for Sky+? NDS, a News Corporation company and leading provider of technology solutions for digital pay TV, will demonstrate a full range of new and exciting developments aimed at lowering the cost of digital TV deployments with the best and most advanced functionality. NDS XTV PVR Solution: XTV(TM), an integrated PVR solution is based on NDS's proven PVR technology, currently deployed by BSkyB in their Sky+ box. NDS will show new ways to attract subscribers and generate revenues through advanced PVR capabilities. These include: video and arcade games, pushing content to viewer STBs, personalized ads, personal fitness channels, and more. Do we need such services / do we want them? The Irish Independent newspaper reports that Sky Ireland is to reduce the price of its personal television video recording service, SkyPlus, to boost sales and increase its subscriber base. SkyPlus enables viewers to pause programmes during live transmission or automatically order a complete series of one show. So far sales have been sluggish in the Republic and Britain. SkyPlus will be charge free for customers who subscribe to one of Sky's digital sports or movie channels. For all other customers the price will remain at EUR15 per month. The SkyPlus box itself will now be available at the reduced price of EUR299. The cost of installation will be EUR75. British Sky Broadcasting (BSkyB), the satellite television group, will this week announce a shake-up in its pricing structure in a bid to triple the number of people buying its Sky Plus service and boost its crucial revenue per user figures. Sales of Sky Plus have so far been disappointing, with just 105,000 people buying the integrated video recorder and satellite receiver. The device allows people to watch one satellite channel while recording another, pause and rewind live programmes and automatically record every episode of a particular series. The system also boasts one-button recording with no tapes or timers. 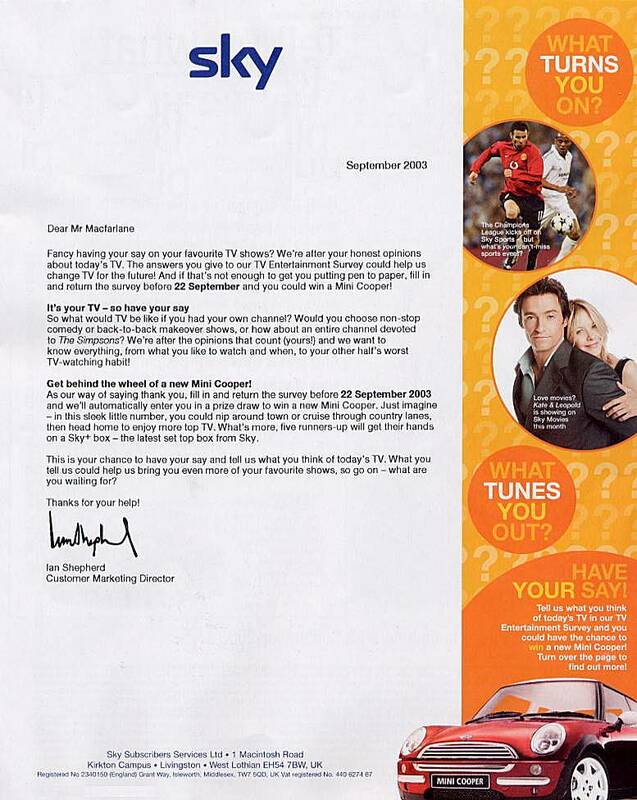 Tony Ball, the chief executive of BSkyB, wants to increase Sky Plus subscribers to 300,000 by the end of June 2004. The company is now planning to scrap the £120-a-year Sky Plus subscription fee for customers spending £30 a month or more on its premium channels, including Sky Sports 1 and 2, Sky Premier and Sky Moviemax. The subscription fee was seen as a disincentive to people trading up from basic channel packages and spending more on premium channels. Customers will still have to buy the Sky Plus kit for £199 plus installation of £50. The changes are aimed at accelerating sales of Sky Plus while increasing revenues from premium channels. 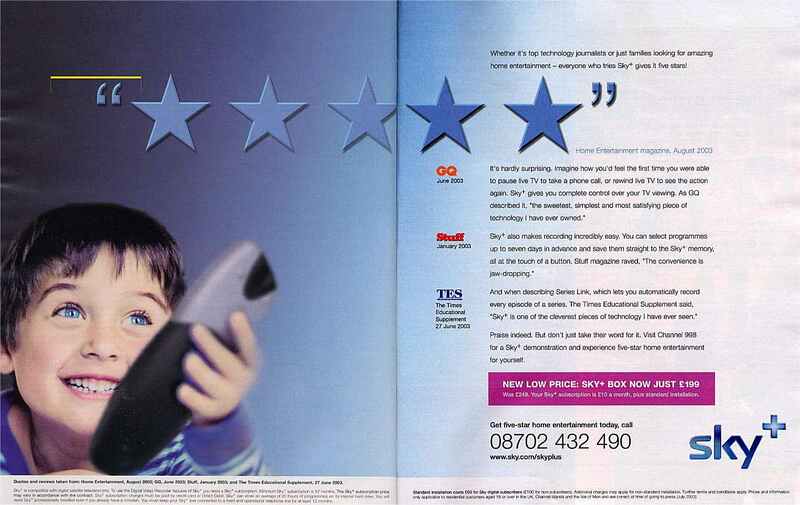 BSkyB has set a target of generating an average revenue per user of £400 a year by the end of 2005. The company also hopes the move will reduce churn - the rate at which people give up subscriptions - and make customers more likely to buy additional channels. Under the new offer, customers will be able to move their existing Sky Digibox to another room in the house for a £10-a-month subscription fee, compared with the current charge of £15 a month. Until 30th September Sky are offering Sky+ for £199 with £1 install. On October 1st Sky+ is £199 with £50 install. If you want to save £49 - order your Sky+ before 1st October. You will have to pay the pro rata amount due for standard charges until the new charges (or rather lack of them) kick in on 1st October. Of course the beauty for Sky+ users considering a 2nd Sky+ box for their home is that with the new pricing structure, there will be no subscription charge for either Sky+ (as long as you subscribe to at least 2 Sky Premium channels) - the only additional charge to the purchase price of your 2nd Sky+ will be the £10 mirror subscription (reduced from £15). Unfortunately the Sky+ website, the only place where the £1 install offer is available, asks for your address, etc and because it knows you already have Sky+ it will not allow you to order a 2nd Sky+ box. 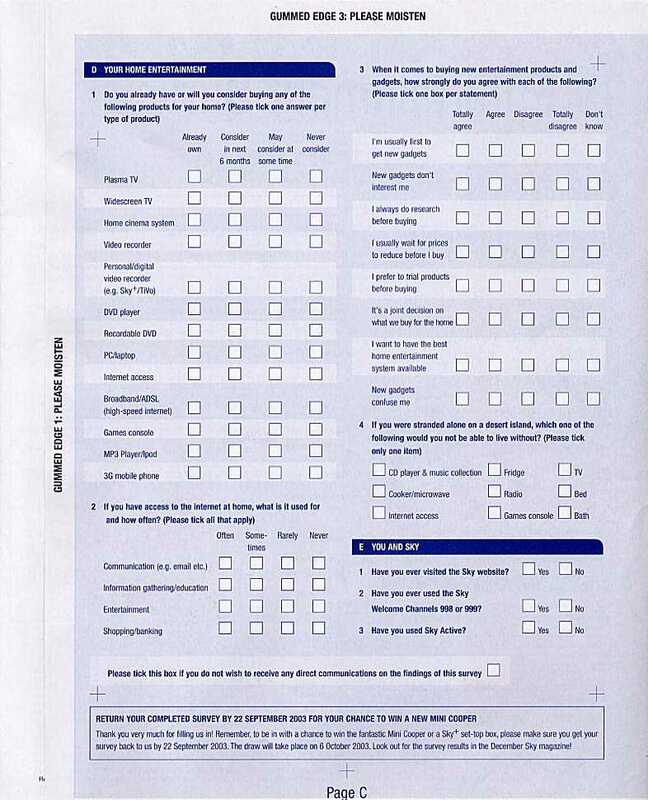 In such cases you need to phone Sky+ sales on 08705 800 800 - choosing Option 1 to purchase Sky+. You need to explain to the customer representative that the web site offer is the one you want to take up £199 PLUS £1 install and that the web site does not allow you to order because you already have Sky+. 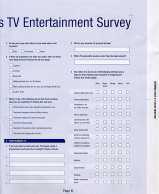 The representative should then be able to manually order your 2nd Sky+ box for you at the web advertised terms. If you get a particularly unhelpful sales person, ask to speak to their Supervisor, and explain the same scenario over again. Good luck! 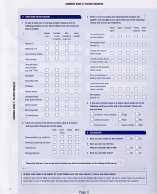 Do you want a 2nd Sky+ and is it really a bargain? BSkyB announced today that it would accelerate the roll-out of Sky+, the integrated digital video recorder and satellite receiver and service, by introducing a new pricing model later this year. With effect from 1 October 2003 - the fifth anniversary of the launch of Sky digital - the monthly Sky+ subscription fee of £10 will be waived for customers on any package with two or more of Sky's premium sports and movie channels**. Customers will still continue to purchase the Sky+ equipment at the current price of £199. This new pricing structure is expected to drive penetration of Sky+, which attracted 105,000 subscribers by the end of June 2003, extending the benefits BSkyB derives from the unprecedented customer satisfaction levels achieved in Sky+ homes. It is also anticipated that higher take-up of Sky+ will contribute to further growth in the number of subscribers to Extra Subscriptions, which enables independent viewing of their Sky channels in another room by others in the household. The Extra Subscription option will now cost £10 per month when taken in combination with Sky+. Later this Autumn, BSkyB will launch a major advertising campaign to promote the benefits of Sky+ to a wider audience than ever before. Focusing on the control, simplicity and convenience that Sky+ brings to television viewers, the campaign will re-assert Sky's status as a technological innovator and will further differentiate digital satellite as the leading platform for digital television. Jon Florsheim, BSkyB's Sales and Marketing Director, said: "Five years after launching the UK's first digital television platform, BSkyB is as committed as ever to bringing its subscribers the most advanced television services. By reducing the cost of Sky+ ownership for our most valuable customers, we aim to increase penetration, further stimulate take-up of premium channels and ensure that Sky remains the leading brand in multi-channel television." ** To qualify for free a Sky+ subscription, a customer will need to subscribe to a Sky digital package that includes two or more of Sky's premium sports or movie channels (excluding free and stand-alone premium channels), i.e. package options 1A-6K inclusive in the Sky digital subscription contract. Sky premium channels are Sky Sports 1, Sky Sports 2, Sky Movies Premier and Sky Movies Max and eligible packages cost from £30 per month. If at any point a customer ends their digital subscription contract or changes to a package that does not qualify for the free Sky+ subscription, he or she will be charged the £10 per month Sky+ subscription. * The £10 per month Sky+ subscription will continue to apply for customers who do not subscribe to a Sky digital package that includes at least two Sky premium channels. " * To qualify for the £10 per month Extra Subscription, a customer must also have an active Sky+ subscription for the same household. If the customer at any time cancels their Sky+ subscription their Extra Subscription will revert to the standard £15 per month price. * The £15 per month Extra Subscription price will continue to apply for customers who do not qualify for the reduced price. * For a new or existing customer purchasing Sky+ who wants to relocate their standard digibox to another room in the same property at the same time as having Sky+ installed, the standard installation and relocation price will be £60. Do you think this is great news / or are you a Family Pack customer feeling bullied into upgrading to Premium packages? Rumours - Sky+ 40 hrs recording? Rumours in the Sky+ community are asking if a new compression technology is about to be launched to allow Sky+ to record up to 40 hours of programmes, instead of the standard 20 hours. Whether this might be the equivalent of the old "long play" facility on VCRs remains to be seen. Do we need 40 hours/ do you sometimes want lesser quality recordings? Rumours - Sky+ Genre recording? More rumours in the Sky+ community. There is discussion about the ability of Sky+ to offer "sky+ IQ" software service which encompasses recordings for genre favourites. How this might work in practice is not clear. However the poster who said he had seen such software, has brought new information into the public domain about possible future software enhancements for Sky+. Reported on Tuesday 9th Sep for close of business Monday 8th Sept:: London's FTSE 100 fell 28.8 points to 4263.3. Decliners were led by satellite broadcaster BSkyB, which fell 1.8% to 649 pence following a report that it plans a price restructuring to boost revenue from its Sky+ service. New NDS Capabilities for Sky+? The News Corp chairman says every new home will have a virtually free personal video recorder, which allows the customisation of TV viewing, within a year. News Corp chairman Rupert Murdoch says the satellite television industry is likely to offer personal video recorders for free or at very low costs within a year, as it fights to retain subscribers and win customers from the cable industry. Personal video recorders (PVR's), such as those made by TiVo, let users customise television viewing and digitally record programming on a computer hard drive in a set-top box. "Within a year, every new home will be getting either [a] ...free PVR or one for nominal amounts of money, with no subscription fee at the other end," said Murdoch on Monday. The systems, which allow users to fast-forward through commercials and are seen as a threat to advertisers, currently charge users a monthly subscription fee. Murdoch's delivered his remarks at Morgan Stanley's global media and communications conference in Boston. News Corp is in the process of acquiring a controlling stake in Hughes Electronics, which operates DirecTV, the largest US satellite television operator. The deal is expected to close, pending regulatory approval, by the end of this year. DirecTV currently has an agreement to resell TiVo devices and service. "It is going to be at the cornerstone at a lot of the growth propositions here," said Hughes Electronic's next chief executive Chase Carey at the same conference. He said Murdoch may tap NDS to create an alternative to TIVO for DirecTV also. A News Corp spokesman declined to comment further. A TiVo spokesman was not immediately reachable. "We have taken the time to describe to (News Corp) all of the complexities and dimensions of the DVR business and our successes with DirecTV and the great stuff in the pipeline," said Marty Yudkovitz, president of TiVo to analysts on a conference call at the end of the second quarter. EchoStar Communications, the No. 2 US satellite television operator, in August said it planned to give away its own PVRs if customers signed up for a one- or two-year contract and a commitment to subscribe to certain programming packages. Competition from all side Murdoch said that despite DirecTV's market leading position in the US satellite market, the company faces threats from within the satellite sector and cable companies. Murdoch said EchoStar, which designs its own PVR, has taken great strides in offering its own version of the technology. "EchoStar is getting more aggressive by the day," he told conference goers, referring to EchoStar's personal video recorder offer. "I think we can match them, but to make a substantial jump ahead of them will take time." Murdoch said such services would help differentiate satellite TV from cable. Separately, he forecasted a rosy advertising outlook, with strong rate increases during the advance sale of advertising time ahead of the coming fall season. Such gains are expected to lift the company's earnings before interest and taxes by 20 percent this year, Murdoch said. "Our target average is 20 percent per annum growth in EBIT," he said. "Just think what size we'll be when I reach Sumner's age," he joked, referring to Sumner Redstone, 80, chairman and chief executive of Viacom. 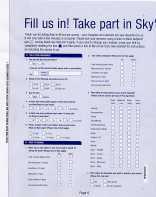 Will we get free Sky+ within a year in the UK? Sky+ Sales Team today confirmed that a new charging subscription model for Sky+ is to be launched on 1st October 2003. 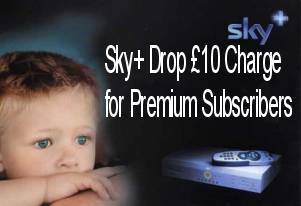 As long as you subscribe to any 2 Sky Premium channels you will be entitled to have your £10 Sky+ subscription fee waived. Sky Family pack customers and those on lower subscription packages will continue to pay £10 per month Sky+ subscription charge. Sky also announced that the cost of a Sky mirror subscription is to reduced from £15 to £10, also with effect from 1st October. Thank you to Plusworld reader Marcos Gilson for letting us know of the new offer. 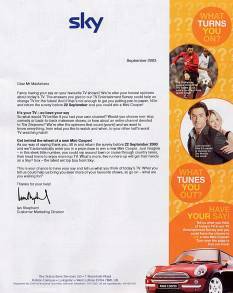 When Plusworld contacted Sky+ Sales mention of the new terms were originally met with "we have not heard of that". Upon calling for a 3rd time an agent confirmed that the offer is factual and that letters will be sent out on 10th September detailing the terms of the changes. They may have "jumped the gun" a little with the news of the impending software update for Sky+ but none the less, the article in September's Sky Customer Magazine on Dual Recording is still a welcome sight for Sky+ users who have waited a long time for this "killer feature". There's a brand new feature on Sky+. If you've already got Sky+ you'll already know how to record, pause and rewind live TV without video tape. But soon, you'll be able to record two satellite programmes at the same time! Useful if you're busy cooking dinner and want to record 'Scare Tactics' on Sky One and your partner calls asking you to tape the live 'UEFA Champions League' match on Sky Sports. You'll also be able to watch a pre-recorded show at the same time! So if your daughter comes home just as your two programmes start to record and wants to watch the Justin Timberlake special she recorded while at school, she can! This great new feature will be automatically downloaded to your existing Sky+ box, so you don't have to do a thing. As we go to press, the techie guys are working on bringing this amazing new feature to you. By the time you get this magazine it may already be available; if not, keep an eye out because it'll be coming soon. We'll continue to find ways of developing the amazing capabilities of Sky+, so keep a close eye on your magazine for the latest news. And if you don't already have Sky+, there's another very good reason to get it: the great new low price of £199 (plus installation and a monthly subscription of £10. To find out how to get Sky_ and change the way you watch television call 08702 432 480. See page 16 for Terms & Conditions." 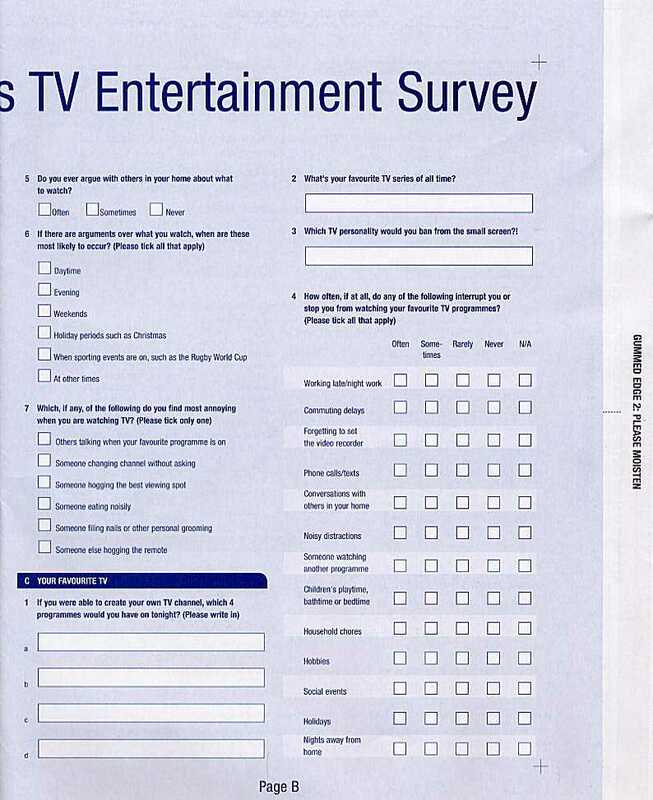 For readers of the September Sky Magazine who cared to check out the reader survey from Sky, the questions asked pointed to the problems with watching TV and what are the viewers favourite TV shows. 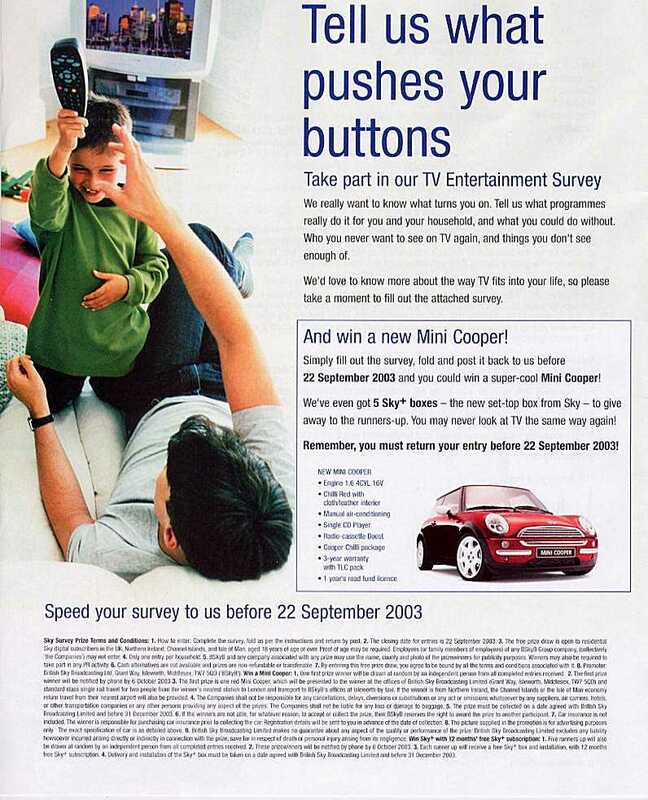 It doesn't take a rocket scientist to work out that apart from the chance of winning a car or a Sky+ system, the benefit for Sky is they will get to know who is a good candidate for Sky+ marketing in the future and who is not. Just because we all pay a Sky subscription does not make us equal in the eyes of the Sky marketing gurus. In the age of Maximum Revenue Per Subscriber, identifying who might have a need for a Sky+ type device is going to prove priceless in the short to medium term. We know you like your Soaps but the football is often on at the same time. Most people do struggle with traditional type video recorders and even then people in your household talking whilst The Simpsons is on is more common than you might imagine. If we were to say to you, we could solve all these programme problems and create your very own TV schedule with your favourite soaps, The Simpsons and the movies that you tell us you enjoy - would you find a use for such a channel? Well the good news Mr Smith, is that our exciting new service Sky+ does all that, and a lot more besides. We are so confident that Sky+ will solve all your viewing needs that we are delighted to offer you a VIP exclusive offer - Sky+ free for 30 days - and if you're not completely impressed, we'll come and take it away, free of charge. All we ask is for your credit card details and we can process your order today, with a guaranteed installation date within the next 5 days. So why not take the Sky+ challenge today Mr Smith - you and the Smith family have nothing to lose and a whole new viewing experience to gain. Of course the above letter is completely made up and fictitious, such a letter does not exist (yet), but just watch this space. How this might affect the future development of Sky+ remains unclear. But if Sky stick to a closed proprietary system, open systems which TV-Anytime are based on may become more popular. e.g. sharing programmes/content through broadband connections for example. "Back to my MacTaggart lecture of three years ago. So far I've talked about what I got right, but I also got some things pretty far wrong. I said then I thought personal video recorders like Tivo and Sky Plus would revolutionise our viewing. I still believe that will happen in the long term but so far only 150,000 homes have PVRs, and it will take far longer than I thought for them to have a real impact. " Plusworld is in partial agreement with Mr Dyke. Once Sky+ becomes the default Sky set top box (estimating by 2007) then Sky+ take up will reach a critical mass. See full details of the Greg Dyke speech at Digital Spy website here. Sky+ "New low price only £199"
The Sky+ website has now been updated to reflect what looks like a new permanent "low price" (until the next price cut ). The attractive £1 install is a real bonus, keeping the cost of becoming a Sky+ owner down to a more reasonable level. Next stop - waiving the £10 charge perhaps? With the apparent delay of Dual Recording software update, Plusworld considers this as a new "holding position" until the big marketing campaign and new software is ready to roll. Plusworld's opinion is that now is a good time to buy Sky+ as the wait time for Sky+ installs will shoot up when the pre-Christmas rush starts. See full details on the Sky website here.